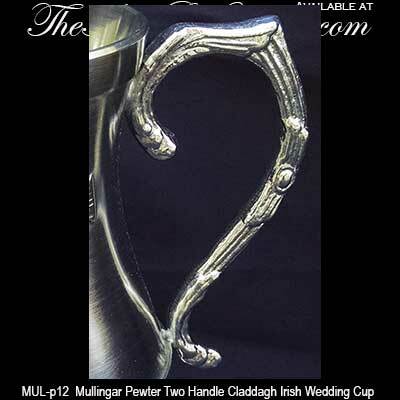 The two handle Claddagh Wedding Cup is ideal for the couple's first toast at their Irish wedding. 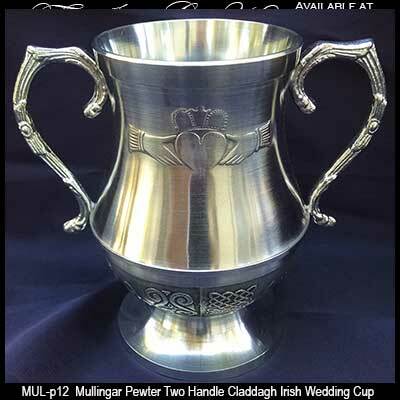 The Claddagh wedding cup features the Irish icon embossed on both sides along with Celtic knot-work, that includes the Trinity, on the base. 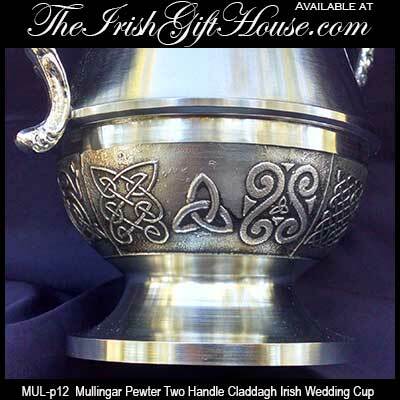 This Irish wedding cup is enhanced with two embellished handles making it ideal for the newlywed's first toast. 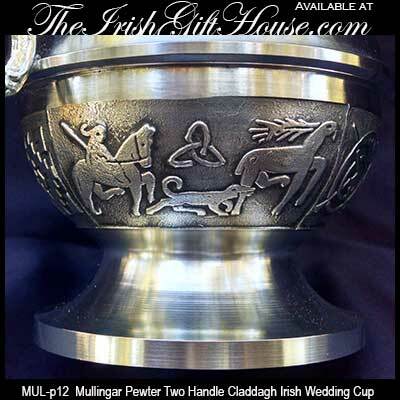 The pewter Claddagh cup holds 15 ounces and measures 5 1/2" tall x 6" wide. 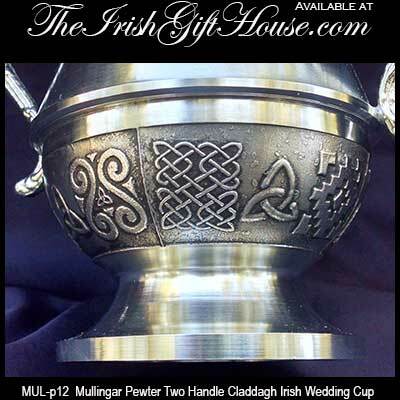 The Irish toasting cup is made in Ireland by Mullingar Pewter and is gift boxed with Claddagh and Celtic knot history cards that are complements of The Irish Gift House.